(iii) eluting pharmacological agents to reduce the degree of inflammation associated with insertion. This project is also examining delivery mechanisms for molecules that appear to prevent hair cell death as a means of reducing or preventing post-implantation loss of residual hearing. Underpinning this application is biomedical research that investigates the basic processes involved with loss of hair cells in age-related hearing loss. Recent findings have provided proof of principal that this hair cell death can be prevented by blocking programmed death pathways (apoptosis) in cells, using chemicals developed by the HEARing CRC. 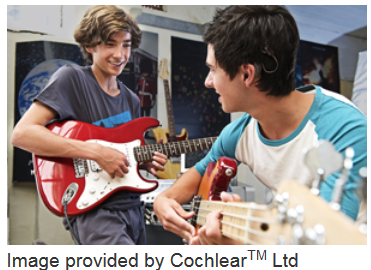 This project is developing new cochlear implant electrodes that can better preserve residual hearing by minimising insertion trauma and defuse anti-inflammatory drugs into surrounding tissue. This project is examining the incorporation of a delivery system into a cochlear implant electrode to prevent hair cell-death in the cochleas of cochlear implantees.